Justin Snyder has collaborated with artists of diverse disciplines including dancers, poets, performance artists, fashion designers, and laser artists. An advocate of new music, he has worked with composers such as Libby Larsen, William Bolcom, Jake Heggie, John Musto, Jonathan Dove, Tucker Fuller, and Mohammed Fairouz. He has collaborated with and performed world premieres by William Bolcom, Jonathan Dove, Tucker Fuller, and Libby Larsen. He has recorded for Czech Radio and has performed live on BBC Radio 3. Some of the venues he has performed at include The Kennedy Center, Wigmore Hall, the U.S. Supreme Court, The Tank (New York), Harvard University, the Barbican Centre (London), the TED conference stage, Mori + Stein Gallery, Panoply Lab, The Horse Hospital, City University New York, Sadler's Wells (in a Pina Bausch Tanztheater Wuppertal production), the Smithsonian National Portrait Gallery, the Mexican Cultural Institute (D.C.), Shanghai Concert Hall, Teatro del Lago (Chile), the Leighton House Museum, Zaha Hadid's Guangzhou Opera House, and the National Center for the Performing Arts (Beijing). In October 2013, Justin joined Carla Dirlikov Canales for a month-long tour in China, on behalf of the U.S. State Department and Ping Pong Productions, which included solo concerts and song recitals featuring a program of American music. Carla and Justin also performed that year at the U.S. Supreme Court in Washington, D.C. in honor of Carla being awarded the Medal of Excellence from the Sphinx Organization, and which was presented by Justice Sonia Sotomayor. In July 2014, Justin joined forces with performance artist Amy Elizabeth Kingsmill at the experimental performance-art space Panoply Lab in Brooklyn, New York. This performance combined the disciplines of performance art and toy piano improvisation that channeled a physically and mentally cathartic ritual and a visceral exploration of the connection between movement and sound. The work was originally performed at the Mori + Stein Gallery in London in 2013. In May of 2015, Justin collaborated with Leonard Bernstein's son Alexander Bernstein and Carla Dirlikov Canales again in China, celebrating the life and music of Leonard Bernstein. This tour included performances at the Guangzhou Opera House, the National Center for the Performing Arts in Beijing, the Shanghai Concert Hall, the Shanghai Conservatory, and the Ullens Museum of Contemporary Art, among other venues, and was produced by Ping Pong Productions. 2015 and 2016 included a performance at the Smithsonian National Portrait Gallery for the National Endowment for the Arts 50th Anniversary celebration, three concerts at Harvard University in tandem with Carla Dirlikov's The Canales Project, and performances again with Carla Dirlikov Canales and Alexander Bernstein at Teatro del Lago in Chile. The program, focusing on the life of Leonard Bernstein as told through his music, was also performed at City University New York in December 2017 and The Kennedy Center in February 2018. 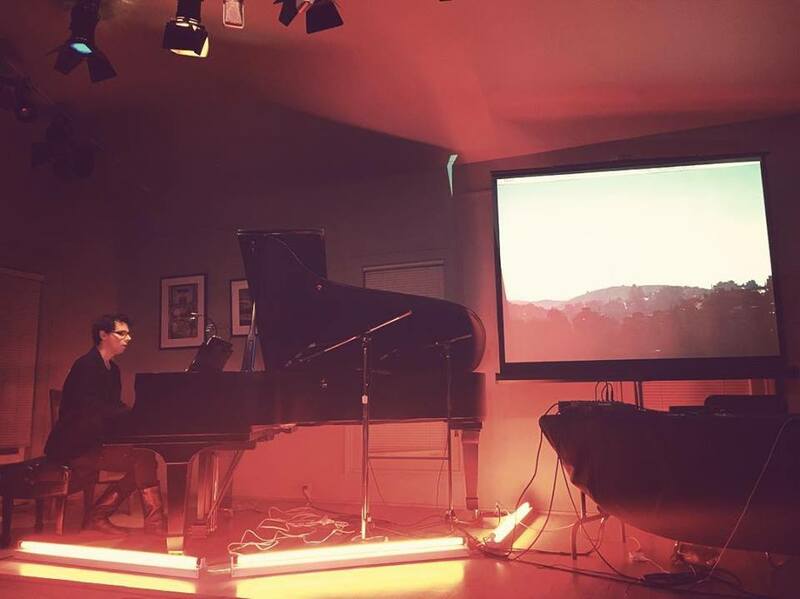 In March of 2016, Justin presented a new immersive solo program of music for piano and electronics at the Kerrytown Concert House, featuring music by Pierre Charvet, Morton Subotnick, Donia Jarrar, Charles Dodge, and Read Miller. He collaborated with laser artist Mike Gould and his Illuminatus laser group on an installation created especially for this concert that featured a dense fog cloud of lasers hovering above the audience. This program will also be performed at The Marigny Opera House in New Orleans in 2017, with additional music by Missy Mazzoli and Stephen Montague. In April 2018, Justin, along with visual artist and composer Suby Raman and composer and violinist Daphna Raz will collaborate on a performance titled Isomorphia at the Chip Davis Technology Studio at the University of Michigan. An “isomorphism” is the mathematical and social phenomenon where ideas are mapped from one domain into another while maintaining their integrity. Suby Raman will capture the audio and 3D motion of the live music, procedurally transforming them into vivid visual projections. The program will feature compositions for piano and electronics and one piece for violin and electronics. The composers featured are Pierre Charvet, Sebastian Szymański, Claude Debussy, Suby Raman, Daphna Raz, and Molly Joyce. Justin studied with Christopher Harding in Piano Performance and with Martin Katz for a masters degree in Collaborative Piano at the University of Michigan. Justin also studied at the Guildhall School of Music and Drama in London with Pamela Lidiard and Graham Johnson for a second masters degree in Collaborative Piano. While studying in London, he was awarded the Guildhall Accompanist Prize, the Cunard Prize in the Guildhall English Song Competition, and the Paul Hamburger Pianist's Prize as part of Graham Johnson's series Cycles in Tandem. Justin is also the co-founder, along with Irena Menk, of ESCforescent- a multi-sensory collective project which merges the arts and sciences to create wholly different sensorial experiences (https://www.instagram.com/escforescent/).